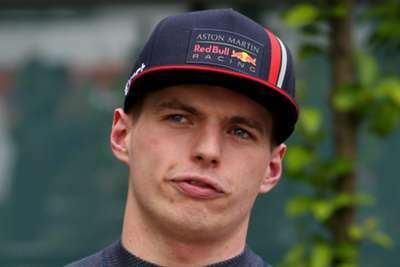 Max Verstappen blamed Sebastian Vettel for his failure to post a flying lap before the end of qualifying at the Chinese Grand Prix. Verstappen will start from fifth on the grid for Sunday's race in Shanghai, though the Red Bull driver was denied the chance to better his position during a frantic end to Q3. Out on a warm-up lap, the 21-year-old was overtaken by not just Vettel's Ferrari but also both Renault cars and failed to cross the line in time to get one last shot at improving on his best time. He made clear his feelings towards his fellow drivers' tactics during an expletive-filled radio conversation with his team, before insisting after the session that Vettel's actions in particular had scuppered his hopes of making the second row. "It's just not what you do in qualifying," a fuming Verstappen told Sky Sports F1. "I was just trying to follow the Ferrari in front of me and trying to be nice. I could also have overtaken him. "This time it caught me out. I'm not happy about that but it will swing around to others as well. "It's annoying because we could have fought for third today but now we just have to do more overtaking." Red Bull principal Christian Horner felt Verstappen had the pace to threaten the Ferrari duo of Vettel and Charles Leclerc, who are third and fourth respectively. "It was a shame because it was a good opportunity to try and improve. 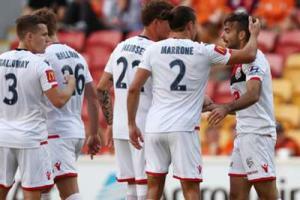 I think we could have made the second row," Horner said. "We'd managed it in the previous two sessions and in the first run. It means we'll have to race harder on Sunday."